SAP offers the opportunity influence innovations for next releases through the influence program Customer Engagement Initiative (CEI). This is the second CEI cycle in 2017. 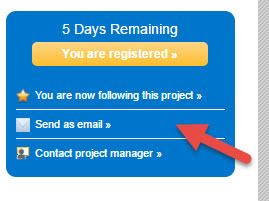 If you find a project that may be of interest to a co-worker, you can forward the project using the “Send an Email” link on the project page. I have been involved with one “CEI” project for several years. Some CEI’s continue, others are short term. Registering does not involve a commitment.